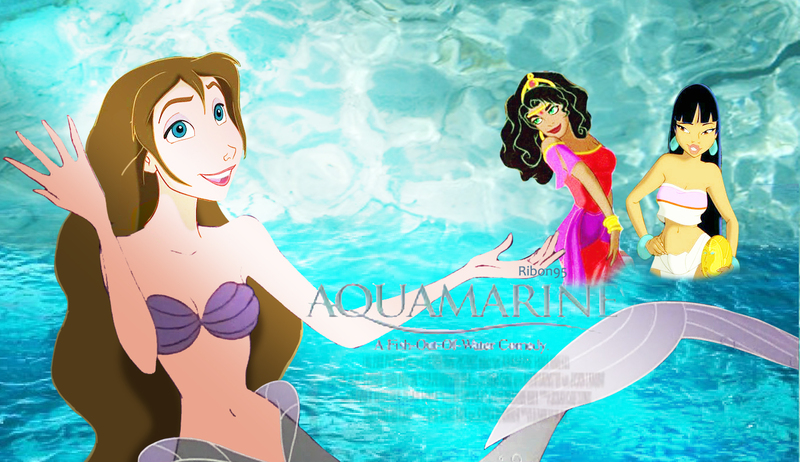 Aquamarine. . HD Wallpaper and background images in the 迪士尼跨界（crossover） club tagged: disney jane esmeralda chel aquamarine. This 迪士尼跨界（crossover） photo might contain 水, 游泳, and 游泳游泳.